Compare multiple rates and policy options to optimize savings on your Jeep Liberty auto insurance. The Jeep Liberty was the first vehicle from Jeep to feature rack and pinion steering. The Jeep Liberty was previously known as the Jeep Cherokee until it took over the model in 2002. In 2013, the model returned to its original namesake. More than one million Jeep Liberty units were sold in just over 10 years. When you’re built to be tough on road and off, it’s difficult to optimize safety features for both driving scenarios. The Jeep Liberty did a solid job of accomplishing the task, though. 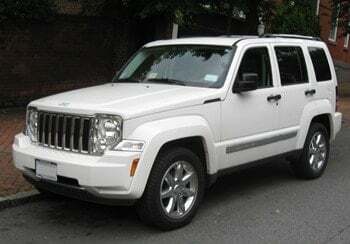 The 2012 Jeep Liberty received an overall 3/5 rating from the NHTSA, including a frontal rating of 2/5, a side rating of 4/5, and a rollover rating of 3/5. Jeep traces its roots to the early years of World War II, when a car company called Willys-Overland Motors developed the Willys MB: a four-wheel-drive vehicle for the U.S. Army that was, as WWII reporter Ernie Pyle said, as “faithful as a dog, as strong as a mule, and as agile as a goat.” Willys made Jeeps for civilian use — the first sport utility vehicles — after the war. A division of Chrysler Group LLC, which in turn is a subsidiary of Italian carmaker Fiat, Jeep manufacturers a number of SUV and off-road vehicles featuring design elements and capabilities rooted in their military-issue predecessors. Since World War II, Kaiser-Jeep, American Motors Corporation and French auto manufacturer Renault all owned Jeep before Chrysler acquired the line in 1987. Today Jeep is known for producing solid axle vehicles that offer the necessary strength and durability to provide off-road driving capabilities. Given its proclivity for off-road adventures, the Jeep Liberty wasn’t necessarily designed for maximum fuel efficiency. According to the EPA fuel economy ratings, you can expect 15 mpg city and up to 21 mpg highway.